Christmas always brings me a new range of books courtesy of my dear eldest daughter, The BookRep. This past Christmas was no exception, despite the fact that we had all agreed ‘We Aren’t Doing Christmas This Year!’. She sends me enough reading matter to get me through to Mother’s Day, I think it’s the second Sunday in May here. Then I take delivery of a few more books to get me through to my birthday in early September, which in turn stocks me up til the following Christmas. Aren’t you envious? I LOVE my regular restocking of the pile of books beside the bed. It is an eclectic and enjoyable pile – books I’ve never heard of, books I want to read, books of fiction, fact, good literature, old literature, poems, essays, short stories; books instructional and uplifting, books containing new thoughts and information, books by loved authors and books by new authors. And it’s not just books supplied by the BookRep in that pile – oh no! Sometimes I even purchase a book or two myself, sometimes I am gifted books by other kind folk – the pile is a never ending, always changing heap of anticipation and delight. Surveying the new pile brought me up with jolt as I realised I still hadn’t completed intended reviews of books that were once in the pile but which have now been removed to the ‘read’ shelves in the living room. In my last book post I reviewed Geoff’s first book ‘Dead Flies and Sherry Trifle’ which, despite the title was a great read and, maybe because of the title, is a comedy waiting to be made. So I was looking forward to settling in to read his next one. ‘My Father and Other Liars’ is very different. I should have known by the cover, which had always quite puzzled my eye and scrambled my brain in some odd manner……. This is a complex, multi-charactered look at a complex, multi-layered issue of today. Complex family relationships, particularly father and child, are interwoven with a dramatic, fast paced story (so fast paced, I sometimes had to back track to sort out who did what) and the interweaving of religion and science. The main characters, Maurice (Mo) Oldham and Lori-Ann Beaumont knock into each other at a Pro-Life Rally. He is looking for a story to impress his absent father and she needs rescuing from a group of interrogative journalists grilling her about her father’s church. They think never to see each other again, but some months later Lori-Ann turns up on Mo’s doorstep, bruised, destitute and desperate to track down her missing boy-friend. 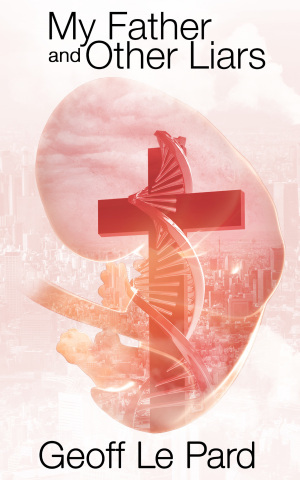 Moving between the US, the UK and Nicaragua, the novel introduces us to the Church of Science and Development, one where religion and science unite with embryonic research at the core. Throw in political investigations, mysteries from the past and a few dead bodies and the result is a fast paced (did I say that already?) thriller dealing with complex issues of ethics in scientific research, family secrets, personal and religious beliefs, and political interests with their own agendas. And just in case you are wondering, there’s a quiet, slow blooming of a little romance as well. When I finished this book I was struck by how well the characters were developed. Despite my own personal views, I felt for those protagonists whose actions and beliefs were so very different to mine. Geoff Le Pard has a real gift in presenting characters as human beings one can empathise with despite their behaviours or different beliefs. Life is rarely black and white, and perhaps ultimately this book reveals the layers of grey that make up our relationships, our history, our beliefs, our actions and our world. The thing I most delight in with Geoff’s writing is his ability to switch genres at the drop of a hat. The inside of his head must be a maze of ideas and words and pictures running the gamut of all possible genres and then some. To have a look at what I mean visit his blog TanGental and read some of his short stories or accompany Geoff and Dog on one of their meanders about the streets and parks and sights of London, I’m sure you’ll find something to delight you. I’m no poetry maven, I’m just a person who knows what she likes. My friend Cynthia passed away on 13th December last year. Her collection of poems has sat beside my bed, or on the arm of my chair for the past couple of years. Her ability with and knowledge of poetic forms was vast. She wrote poems that tore at the gut, making me wonder what it had cost her to go so deep and express so eloquently. She wrote poems that caused a gurgle of laughter to erupt, a sigh of empathy to escape, a moment of silence to linger on. She wrote words that made me look anew at nature, at my actions and even at my thoughts. She was a woman who had grown through pain and loss into extraordinary kindness and appreciation of the simple things in life. I read her poems again now, with an even greater appreciation for her ability. 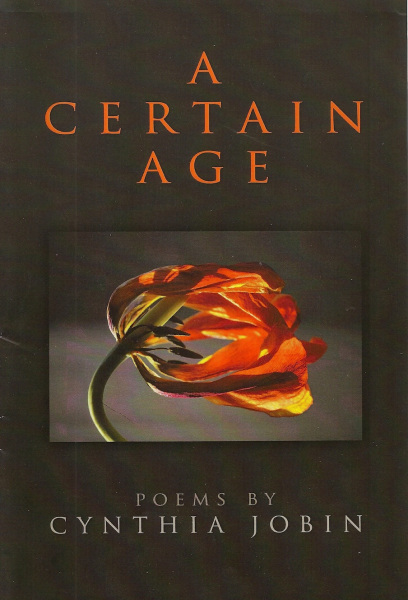 Bennison Books is working with John Looker to publish a second collected works of Cynthia Jobin, in the meantime we have ‘A Certain Age’ to enjoy again and again and again. So, two writers who come much recommended by me for your new year reading lists. I hope you will meander through their blogs and find something to enjoy. I have never liked reading electronically, though many have told me the kindle is eye friendly- I just like books! I like the weight of them and the smell of them and the feel of them. I like reading covers and back covers and author profiles. 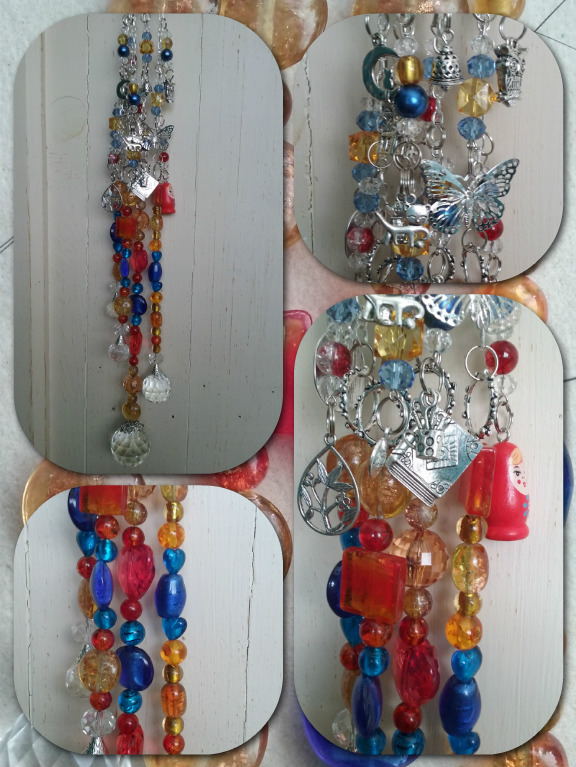 I like rifling the pages and fiddling with my book mark which is tactile and friendly in my hands when the story is winding down or I am winding down ………. Despite that, late last year I spent some time reading an on-line biography written by Mr Bruce Goodman of Weave a Web fame. Covering the fifties and sixties and set in rural New Zealand the story is told compassionately and humorously of growing up in a large, rambunctious, Catholic family. I know much of the era and the areas and the descriptions resounded strongly for me. The pathos and humour of a boy sometimes struggling to understand the complex world of older siblings and grown-ups was a delightfully innocent read. Do wander over and have a read, it’s free and it’s delightful and give my friend Bruce a thumbs up. I should start by admitting I’m not much given to reading a book where the protagonist is a nineteen year old youth ….. and I continued past the first pages only because I had promised to read and review Geoff’s book. And yep, was I glad I did! I’m a fan of Geoff’s writing style – found on his blog TanGental. I loved his month long supply of short stories back in November and marvelled over his ability to swap genres and weave on-going dramas for the same character. My question was would his ability with short stories bear up in the quantum leap to a novel? I can’t remember when I last read a book where the story unraveled so clearly and independently before my eyes in the form of a movie. There is something in the author’s writing style that allows the reader, or at least, me; imaginative space to ‘see’ the characters and the context in it’s entirety, the whole scene unfolds like a movie – the entire book is a movie waiting to happen! The story is wryly witty, the ongoing movie informed me when incidents evolved into laugh out loud comic moments or segued into moments of despair or desperation. In the end what I loved most was the manner in which the story unfolded and revealed itself only as much as it did to the poor befuddled teenager, Harry. Girls are a mystery to him and these ones were to me as well. His parents behaviours and words make no sense – what is going on? Harry’s love and care for his grandmother is a tender side story that weaves throughout, though even she is now a mystery to him. As Harry twigs more to what is going on, so do we. The characters reveal themselves sometimes in surprising ways and the end denouement is exactly what Harry himself would have wanted! I’ve got another book by Geoff Le Pard in the pile. I deliberately didn’t pick it up straight after finishing this one – I was so tempted, but I wanted to give this book time to settle. Included in the ‘currently reading pile’ are two little volumes I’m opening at random and reading a page from most evenings. The first is a gift sent to me by my friend Norah which I mentioned in my last post. The photo shows the cover which bears the inscription ‘How many people does it take to make a difference’ alongside the giant digit one. Inside the front flap poses the thought: Instead of asking ‘What can I get from life?’ watch what happens when you ask “What can I give?” Which is a philosophy I thoroughly approve of! It’s filled with little inspirational texts and quotes to ponder and muse over and take into sleep. I feel really honoured that Norah thought of me when she saw this book and went to the trouble of sending it to me. It’s appreciated and enjoyed Norah, thank you. It makes a lovely gift! The second book I’m picking up every evening is an anthology of poetry from the pen of the rather delightful Cynthia Jobin who blogs at littleoldladywho where you can savour her words both written and spoken. The art of the poet, I feel, lies in making the reader share the experience, in causing the breath to catch, the eye to burn, the ‘Oh!’ to form or a chuckle to rise and so often, having read, to sit and let silent contemplation fill the soul. I so often experience one or more of these responses when reading the work of Cynthia Jobin. Do wander on over and see for yourself. That’s it for this month on the reading front. Do share what you are reading and add in any thoughts to the books I’ve mentioned.